Only a professional Yorba Linda plumber can fully satisfy your need for expert plumbing solutions. Because plumbing issues can happen, whether you like it or not, the challenge is how you will deal with them at the least possible cost to you. When plumbing problems happen, it is nice to know that there are technical persons you can readily approach near your location. It’s best to hire a qualified plumber in Yorba Linda, CA if any of your pipes is acting up. We invest a lot of money not only on giving our technicians further training to hone their craft further, but in the most modern equipment related to their trade. Call OC Plumbing Pros 24/7 at (949) 371-8413. Even if you don’t currently have a plumbing emergency in your home, the chances are good that you will have one at some point. The plumbing systems in OC homes are getting older every day, and the best way to help avoid large emergencies is to have our technicians perform a periodic plumbing inspection. Our experts will highlight items that are in poor condition that you may not be aware of, which may help prevent a major catastrophe down the road. Trust our 15+ years of expertise to fix your emergency plumbing issues & also help you prevent such emergencies where possible. Foolproof Water Heater Installation and Repairs from a Plumbing Company: When your water heater is damaged, you immediately think about buying a new one but it’s recommended that you let us look at your damaged water heater first before you make a decision. Nevertheless, before you start shopping for a new unit, have our team over to check if repairs can still be done or if purchasing a unit is imminent. For instance, when you buy a new one, it may cost you upwards of $1000 plus installation costs. Having us over also allows us to check if you are using your water heater to its full capacity, or beyond its capacity. Efficient Drain Cleaning Services Keep The Water Flowing: Homeowners tend to overlook the importance of clean drains, until water backs up, refuses to go down the drain, or if at all, is slow to do so. If all the drain-cleaning agents in the market no longer work, we have the perfect equipment to do the job. But take comfort in knowing that we have the latest equipment, including a state-of-the-art camera that captures the image through the drain, enabling us to effectively and safely remove the clog, whatever and wherever it is. This means we can localize the repair, and don’t have to replace all your pipes. We Know A Leak Even If You Don’t See It, and We Repair It, Too! Leaks in pipes that are hidden from view are almost impossible to detect. If we can save you a lot of money, then we go home happy. This is why it matters a lot to find out where the leaks are coming from. Rusty metal pipes and water pressure flow create the perfect storm for a bursting pipe. Water leaks can lead to structural damage, the development of mold, and money loss from having to pay higher water bills. Emergency Plumber Yorba Linda – Call Us Now! 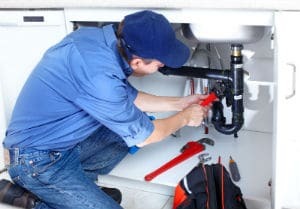 Let Us Serve Your Re-piping, Garbage Disposal Repair and Installation Needs: If you have a damaged water pipe in your Yorba Linda, California property or if there is a need to relocate your pipes in order to conform to the new property plan, keep us in mind to perform what is required in compliance with safety codes. Our licensed plumber can also fix your leaking garbage disposal, or set up a new unit in your home. Let us emphasize that repairing or installing garbage disposal is something you must leave under the hands of an expert, because there are specialized tools and skills needed to get the job done flawlessly. Therefore, give us a call and we will see if your unit can still work just fine after repairing it. Installing or Repair of Toilet: Contact us immediately so we can help protect your family from harm. We have the tools and knowhow to fix a broken toilet without you having to hole up in some hotel for days. One of the worst things that can happen in the home, workplace, or any establishment, for that matter, is when a toilet breaks down. Just give us a service call, and immediately, our plumbers will come right over to inspect the toilet’s condition and fix it, if rendered practicable; otherwise, we will be honest in telling you to simply get a brand new toilet. A broken toilet can be a health-hazard, too. Round The Clock Emergency Services By OC Plumbing Pros: You can call us 24 hours a day, seven days a week. We can send a team to your house or office right away. Our customer representatives can answer all your queries and quell all your worries. Call Our Yorba Linda Plumbers Now! All our technicians are trained on customer service so they can explain to you in layman’s terms the options available for you. We guarantee an experience like no other when you connect with our plumbers today. Our plumbing contractors are continuously trained to keep up with the demands of the time, and they can share with you whatever knowledge they have regarding plumbing maintenance. Call us and let us tell you more about our plumbing repair and installation services at OC Plumbing Pros. Call us today at (949) 371-8413!